I turned my laptop on today and there is a black border meaning that the screen is not being used completely, like it was yesterday. I measured the part of the screen being used and it measured 15.6" and it is advertised as that, but I am 100% sure that this black border was not here yesterday, or ever before. As seen in this Inspiron 5547 video at 2:19, the entire screen is being used and there is no black border however on my 5547 there is a clearly visible black border which i used my ceiling fan light to show exactly where it is and how thick it is. This is in no way my fault and is apparently a known issue with this model, yet I am still expected to pay for a screen replacement. 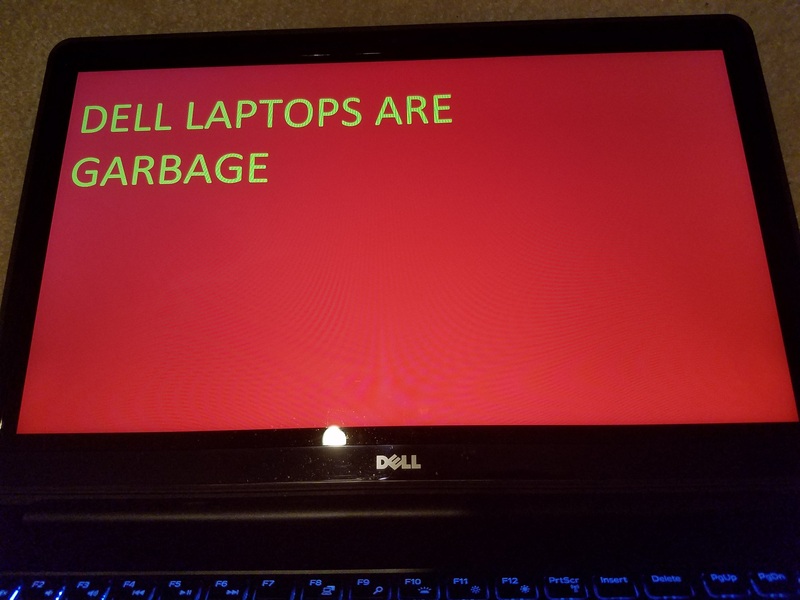 This will not be happening and I will gladly switch to a different brand(after being a 10+ year dell customer) if I must do so.